What Is the Cannabis For? Treating osteoporosis without drugs is a real thing. Osteoporosis is a scary condition. However, there are ways to handle osteoporosis without chemicals. What will cheer you up, that bones created to last all lifetime? It is excellent, is not? You would ask why so many cases with osteoporosis? Why so many people afraid that when they are older, their bones will break up. How much truth is in it? Osteoporosis is a condition when bones start to weaken. The risk to broke bones increases with age, especially when people do not take preventative measures. The balance of calcium and magnesium is essential to keep bones in good shape. Usually, individuals take more calcium compared with magnesium. Without sufficient magnesium, the calcium would make bones brittle and without elasticity. Bones without magnesium are prone to break down. Besides, it, the body needs about seventeen nutrients to keep bones healthy. Magnesium is the most important one. Doctors warn that if magnesium is deficient, the calcium can travel to soft tissues, depositing in joints and kidneys. Do you see how it easy to get arthritis and kidney stones? A simple recipe for problems: minimum of magnesium and maximum of calcium. How Does Magnesium Prevent Osteoporosis? Magnesium plays many roles in the body’s metabolism. The magnesium safeguarding calcium from overloading cells is one vital task for magnesium. Without magnesium, calcium overrides cells, excites them and causes death. Without magnesium, calcium deposits in soft tissues. The calcification occurs. Magnesium stimulates hormone calcitonin. This particular hormone draws calcium from soft tissues back to bones. Calcitonin prevents kidney stones and some types of arthritis. Hormone calcitonin preserves the structure of bone. Magnesium suppresses parathyroid hormone. This hormone likes to break down bones. Magnesium does not let it harm bones suppressing it. Magnesium turns vitamin D into the active form. In this way, active vitamin D can help absorb calcium. Magnesium is co-factor in the activation of the enzyme, which helps form a new bone. Magnesium together with vitamin K2 helps direct calcium to the bones. Magnesium participates in calcium transportation. Do you see how everything connected in the body? Minerals and vitamins are vital parts of the body’s mechanism. It is more complex, but you can get a picture that when one mineral is missing, many reactions and systems suffer. 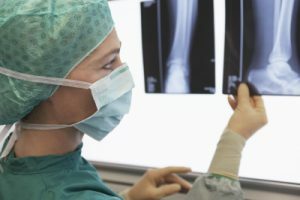 What Does Affect Bone Health? magnesium, boron, folic acid, and vitamins B6, B12, K2, D prompts osteoporosis. The overdosing of protein, table salt, alcohol, and caffeine makes a negative impact on bone health. The sedentary lifestyle and Western diets such as processed food and soda drinks create a perfect environment for the development of osteoporosis. How To Keep Bones Well? The magnesium helps to keep bones in good shape helping calcium to stay where it belongs: in bones. magnesium deficiency occurs frequently and leads to loss of bone mass, abnormal bone growth, and skeletal weakness. Researchers found out that magnesium inhibits the activity of osteoclasts. Another study showed that 65 percent of women who got magnesium lactate daily for two years, was free of pain and did not have further degeneration of spinal vertebrae. Sixty percent of bone consists of minerals, mostly of calcium and phosphate, along with magnesium, water, collagen, and an organic matrix of protein. Bones are unity of various ingredients which depend on each other. The rich diet with minerals, vitamins, fatty amino acids, and proteins, exercise, absorbable nutrients will keep our bones in shape. Treating osteoporosis without drugs is not a high- end science. Providing for the body nutrients and exercising will help to stay you in an excellent physical and mental shape. Dr.Carolyn Dean ReMag liquid magnesium absorbable at 100 percent at the cellular level. ReMag is organic, pico-ionic, stabilized magnesium ions of atomic size. Magnesium ions are 86 picometers of size. Gateways to the cell are 400-500 picometers of width. Do you see how it is easy for Dr.Carolyn Dean ReMag liquid magnesium to reach cells and provide benefits? The magnesium works in the special way when nothing else can deliver these results as ReMag does. ReMag liquid magnesium manufactured using proprietary technologies. It would be interesting to know how ReMag ions separated and stabilized. However, it is the business secret. I could compare with Coca Cola which does not give the recipe for favorite drinks. All companies and housewives have own secrets: for patented products and tomato sauce. Magnesium can not be patented because the mineral is from Nature. Nature does not limit access to her creations. We forgot gifts and abilities how to use it for our well-being. 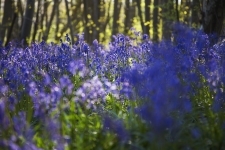 I heard funny wishes to patent wild plants which have healing abilities. Thanks to the wisdom of governments, that it did not happen. Can you imagine patented dandelion? I think that foxes, rabbits, and bears would have a great laugh. Okay, Magnesium comes in various forms. You know most popular magnesium citrate. It is cheap and works just fine. Previously when I did not know about ReMag, I was content with magnesium citrate. Overall, it funny when you try something better, and you do not want the return to the previous conditions or usage. For example, if you drove noisy car few years and have now a chance to drive flexible and powerful vehicle. You drove few days, you like it, and you can have it. Would you return to the old car? It is the same with food, wrong habits or company. When you try something good, you do not want to let it go. Dr.Carolyn Dean ReMag is a product which can not be changed with other forms of magnesium. You would ask why? Other forms of magnesium are not 100 percent magnesium. These types consist of magnesium and second part such as acid. It means that these forms must be splitting in stomach. The acid goes somewhere else, most as the ballast to the body. The magnesium attaches to proteins which carry him to the bloodstream and later on to tissues and organs. 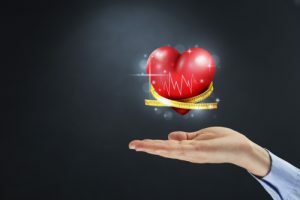 Do you see a difference between magnesium forms such as magnesium oxide or magnesium citrate which must go through the digestive system and ReMag, which is absorbable right away? It means if you take a sip of water with ReMag, magnesium will reach cells through the mouth. If you would spray ReMag on a skin, the skin will absorb ReMag at 100 percent. Why? ReMag is pico-ionic, liquid, atomic size stabilized magnesium ions. Our body consists of millions of cells. These cells need magnesium for metabolic purposes. ReMag brings benefits to body fast and efficiently. Magnesium goes straight to cells saving energy used for digestion and transportation. Magnesium is the cofactor for over 700 enzyme reactions and metabolic functions in the body. How Does Magnesium Help Body? Magnesium helps the heart in cases of arrhythmia, angina pectoralis, weak heart muscle, high blood pressure, high cholesterol, blood clots. Magnesium aids in cases of muscle cramps, spasms, tingling, and twitches. Magnesium prevents spasms of fallopian tubes. In this way, sperm may reach the egg. Magnesium can ease cramps of the sphincter muscles in the esophagus, stomach, intestine, and bladder. Low blood pressure and poor circulation when autonomic nervous system acts in the low mode. Magnesium deficiency has the correlation with miscarriage and premature birth. Please read the blog Magnesium for Eclampsia here. Stones are painful when they are in the body. I do not mind if stones lay on the beach but if they reside in my kidneys, I would be disappointed . It is painful and disrupt delicate work of organs. Stones are in kidneys when magnesium is deficient and calcium overflows cells. If this situation is constant, the formation of stones occur. Why sufficient magnesium is so important for overall wellbeing. Magnesium prevents the buildup of lactic acid after exercise. Magnesium supplements help in the cases of osteoporosis. Magnesium reduces calcification close to joints after hip replacement. Magnesium regulates calcium absorption and utilization in the body. If calcium overcomes limits, thyroid hormones decline. Without magnesium, calcium can disturb many functions in the body. Magnesium is an essential mineral. Without magnesium, we will have more and more problems. 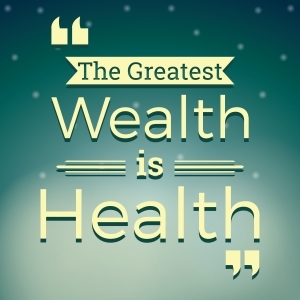 We have plenty to think about such as how to pay the mortgage, how to deal with squirrels or how to have more time for ourselves.The health is the most important asset after time. 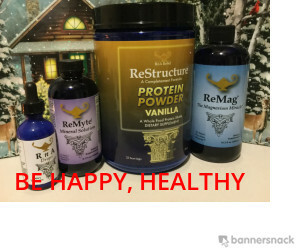 We can be in the good shape with Dr.Dean ReMag liquid magnesium which is the best innovative product on the market. 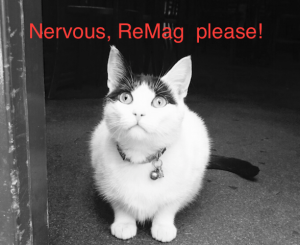 You can read more about ReMag here. Do you know something else? Please leave your thoughts below, I would be glad to read and answer. Magnesium for bones is vital. Magnesium plays the crucial role in bones health in the same way as calcium. Calcium supplements are popular and consumed in significant amounts. Unfortunately, consumption of calcium without diligently researched information lead to various problems. What kind of challenges would you ask? Without the adequate amount of magnesium; the calcium does not absorb well. Calcium is prone to make deposits in the soft tissues such as kidneys or joints. Kidney stones or arthritis can occur when magnesium is deficient, and the amount of calcium is abundant. Calcium metabolism depends on magnesium. Magnesium has multiple roles in the body’s metabolism. There Are Magnesium Benefits when Calcium is Involved. Levels of magnesium must be efficient for the absorption of calcium. Without it, calcium can overflow cells. The hormone calcitonin participates in preserving bone structure. However, when is too much calcium in soft tissues such as kidneys, blood or joints, calcitonin pulls calcium back to the bones. Magnesium stimulates calcitonin. No magnesium, no calcitonin. Kidney stones, arthritis occur. Hormone parathyroid is famous for breaking down bones. Not so much fun, yes? Magnesium suppresses parathyroid preventing bone breakage. Magnesium converts vitamin D to its active form. It is like a kiss for sleeping beauty. Wake up! Magnesium activates enzymes which participate in the formation of new bones. According to Dr. Carolyn Dean, M.D., N.D., the osteoporosis is a condition which must not exist. Human bones must be robust and functional all lifetime. Unfortunately, when magnesium is deficient, bones do not serve well. Why? One of the essential minerals is missing. Magnesium. All minerals and the rest of nutrients are equally crucial for bodies. If something is missing the link in the smartly constructed mechanism, all parts of the body suffer. It happens slowly but with consequences. Dr. Dean read over 22,000 articles on osteoporosis, but just in the few of them the importance of magnesium was emphasized. Can Chemicals Help to Rid of Osteoporosis? In the book The Magnesium Miracle I read that the drug Fosamax causes the deterioration of jawbone. I usually check side effects of the medicine, and I saw many unpleasant things, but this fact is terrible. Imagine yourself eating ice cream and leaving half of your jaw in the cup. It could be the scenario for the horror movie but not for real life. What Fosamax does for bones? It causes brittle bones. It destroys osteoblasts. Osteoblasts are cells which form new bones. 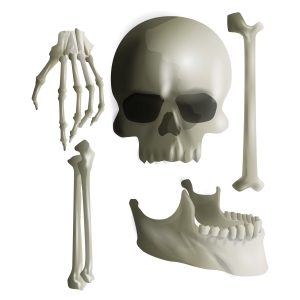 I can not imagine how it can be in this modern world where we can destroy out bones with chemicals. Uh. Okay, it is enough to scare you. It is better to look for safe ways how to help ourselves giving bodies vital nutrients. The right diet, and the usage of nutrients would provide us with the peace of mind and vitality for bodies. When our bodies do not lack any minerals, everything goes smoothly and efficiently. Calcium and magnesium are interconnected. Without magnesium, the calcium cannot go into cells.The Magnesium is for relaxation; calcium is for contraction cells.When magnesium does not pave the way for calcium, problems such as osteoporosis, kidney stone or arthritis occur. There are more cases where the role of magnesium is essential, but now we talk about the well-being of bones. We can prevent osteoporosis with the help of magnesium. Somebody who already had this condition can halt it. According to Dr. Carolyn Dean, M.D., N.D., the author of The Magnesium Miracle, we need to take steps to prevent osteoporosis or stop the condition. You see that the magnesium for bones is vital and essential mineral. Eating magnesium-rich foods, avoiding coffee, high protein diets, sugar, and alcohol, taking magnesium will help prevent our bones from damage. Does Spirulina Help You Lose Weight?